If you knew you were about to speak your last words, what would you say? Something of great significance that you wanted people to remember, of course. After all, if you were about to talk for the very last time, you wouldn’t want to waste your words on something that didn’t really matter! That’s why it’s so important that we, as believers, pay attention to Jesus’s last words on Earth. He knew He wouldn’t be back for a long time, so He said something significant that He wanted us to remember. But what was it, and what does it mean for us? In Acts 1, we see the promise of the Holy Spirit, and then we see Jesus ascend into heaven. It’s a big moment for everyone involved; can you imagine watching Jesus, who had just died and resurrected, rise up into the air and return to the Father? What an experience that must have been! What does that mean for us? What are we supposed to do? There are a lot of things Jesus could have said with His last words, but He chose to remind us of the Great Commission found in Matthew 28. You will be my witnesses…to the end of the earth. If He chose this as the very last thing He would say before returning to heaven, then shouldn’t we pay special attention to it? Clearly, the call to spread the gospel is of vital importance — and we must take action to fulfill that call. How Can We Be Faithful? If we’re going to be faithful to Jesus’s last words, then we must go, and we must tell others about Christ. Keeping the gospel to ourselves just isn’t an option. 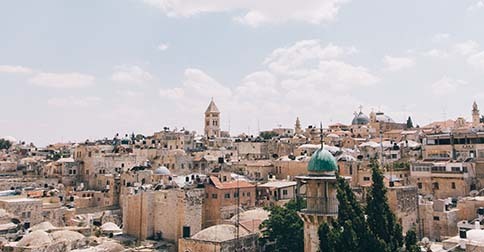 One way to fulfill Jesus’s last words is to go on Christian mission trips. Not only do these provide an opportunity to tangibly minister to people who may never have heard about Jesus, it also gives us the chance to see more of God’s creation and appreciate the vast diversity of His world. Another way is to support people who are going on Christian mission trips, even if you can’t go yourself. Our mission is to take the gospel to the most people in the shortest amount of time in the most cost-effective way. If you’d like to be faithful to Jesus’s last words by joining with us in that mission, feel free to donate or contact us for more information!